languages. The website goes by the name of TED, a nonprofit well known for the many conferences it holds all around the world, the two main annual ones being held on the North American West Coast and in Edinburgh, Scotland. These annual conferences bring together the world’s most fascinating thinkers and doers who are challenged to give the talk of their lives, and guests include Nobel Prize Laureates, multi-billionaire businessmen, and world-famous thinkers. As of May 2013, over 1,500 talks are available free online. Learning a Language through TED? Now, you might be thinking, “this is great, but how can I learn a language through these TED Talks?” The first answer to this question is that most TED Talks (as found on the main TED website) are often translated in 40+ languages. This means that although the talk itself is in English, you can watch it with subtitles in a foreign language, and you can also look at the script in the same translated languages. Typically, the older and/or most popular talks are translated in at least 40 languages (sometimes as many as 60), while newer talks will only be available in a few languages. For the newer talks, you need to be patient as the translations can take many weeks to come. The way this can be helpful to you is rather simple: you can start by listening to the talk in English (if English is your native language), and make sure you understand all what is being said. (If English is not your native language, you can start by going through the script in your native language, and then listen to the talk in English). Additionally, you could copy and paste the script in a text editor, print it out, and read/annotate it. Once you are familiar with the subject and vocabulary covered in the talk, you can then look for the script in the language you are learning. If, for example, you are learning Spanish, you can simply copy and paste the Spanish script in a text editor, print it out, and read it a few times. This has many benefits. First, because you are already familiar with what’s being said in there, you will naturally acquire a lot of new vocabulary without actually having to look at new words in the dictionary. This is because you’ll already know the topic and the vocabulary in the language you are familiar with. By then reading through a translation, you’ll naturally have a good degree of understanding of everything in there. If you still have trouble with your pronunciation and/or flow of the language you’re learning, I recommend going through the translation with a native speaker (friend, language exchange partner, or tutor). You can easily find tutors on a language exchange website such as italki, or you could pay somebody $5 on fiverr.com and have them read and record the talk in the language you are learning. This way, you’ll get an accurate pronunciation to copy. The other benefit is that TED Talks are really interesting (most of the time, anyway). These are definitely not the type of boring, predictable, and manufactured kind of texts you’ll find in a language learning textbook. And if, say, science is not your thing, look for talks related to business, design, marketing, self-development, technology, global issues, you name it. TED has at least a hundred different topics. By actually being emotionally involved with the topic you’ll be listening to, and by acquiring vocabulary through meaningful context and not from lists of words, it’ll make it much easier for your brain to remember new information, and this will in turn make it much easier to remember new vocabulary and expressions. In the “Twelve Awesome Ways to Drastically Improve Your Memory” series I wrote a while ago, I talked about the importance of putting in your emotions. This means dealing with material that interests you and that you feel a strong desire to understand. By looking for the right TED Talks, you’ll have the perfect material to do just that. As a word of caution, some talks are rather complicated and may be simply unsuitable for your level (even for a native speaker, many talks can be hard to understand due to the complex nature of the subject.) So if you see a talk entitled “Bio-lab on a microchip,” it might be wise to look for a subject slightly more approachable. Additionally, while most talks are 15 to 18 minutes in length, some of them are also under 6 minutes, which can make it easier to digest and work with. If you’re a language teacher, these are usually great to cover in classroom. Check out this page for a list of these shorter talks. 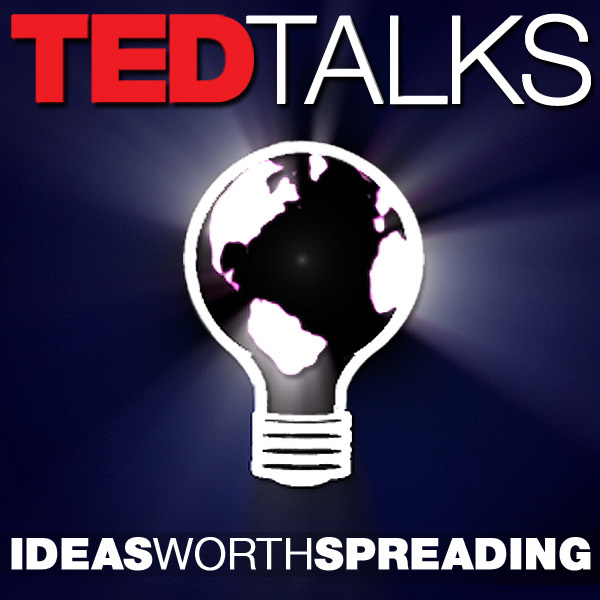 One of the greatest things about TED is their so-called TEDx program. TEDx gives communities, organizations and individuals the opportunity to stimulate dialogue through TED-like experiences at the local level. TEDx events are planned and coordinated independently all over the world, and many of those events have separate websites from the main one. Just last month, 72 TEDx events took place in 35 countries! 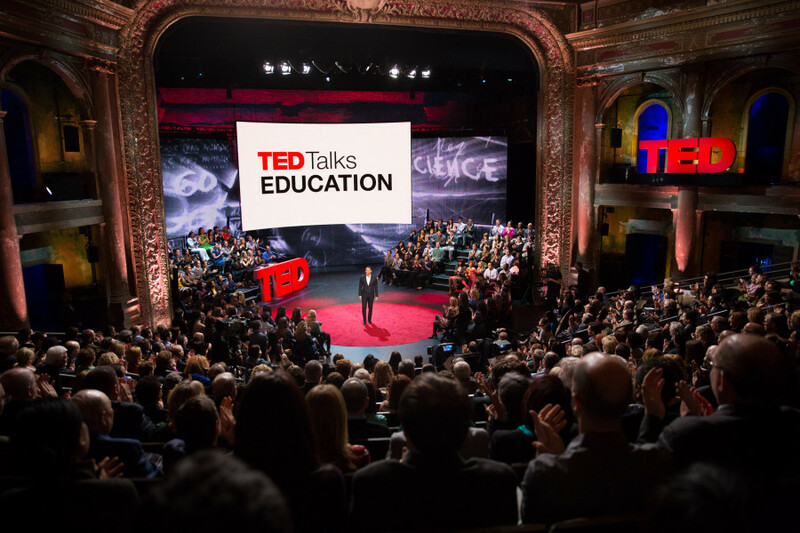 What you may not know is that many of those independently organized TED events are actually presented and recorded in a language other than English. For example, TEDx Seoul features talks mostly in Korean, TEDx São Paulo has many of them in Portuguese, and TEDx Kharkov features presentations in Russian. Check out this blog post for a short list of talks in French, Spanish, Portuguese, and Russian. 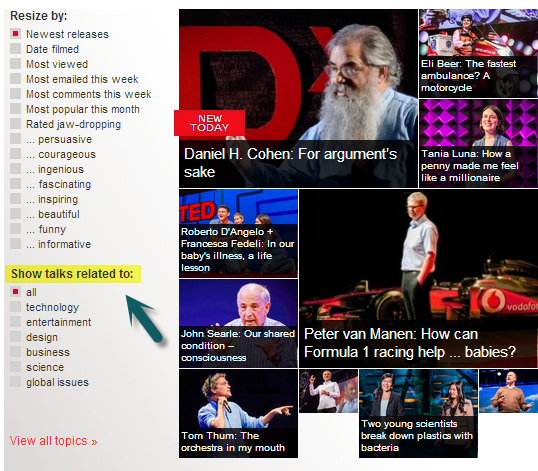 If you’re looking for TEDx Talks in a different language, a quick Google search will probably bring good results. I recommend typing “TEDx” followed by a major city of a place that speaks your target language. A quick search for talks in German brought me to the TEDx Stuttgart webpage, just to give you an example. The downside here is that many of those TEDx talks will not have subtitles and/or scripts translated in other languages. Of those I looked through, TEDx São Paulo seems to be the only one to include English subtitles along with all of their talks. In any case, if you’re a high intermediate/advanced learner of a given language, you might find those talks that have no subtitles to be great for listening practice anyway, as well as being excellent sources of inspiration! That’s it for today’s post on the fantastic resource that TED Talks is. I’ve made a video mostly covering what I’ve just written about, so please refer to it just below if you’d like to be walked through the actual site and the exact way I use TED Talks to learn languages. I hope you have found the info here to be useful, and if you think I’ve missed anything that might come in handy to others, feel free to let me know and I’ll make sure to add it to this post. If you have any additional questions/comments on how to use TED to practice your languages, I’d be delighted to hear from you in the comment section below. Thanks! Thanks for the link, Fabien! I’m sure this will come in handy to Crotian learners of English, or English learners of Croatian. If anybody else knows some links related to TED Talks (such as TEDx events in a foreign language, preferably with subtitles), please let us know by leaving a comment! Glad you enjoyed the article. I do not think it is possible to learn a whole language from any one single source, very far from it in fact! I hope this is not the message I projected. But as you mentioned, I think TED Talks can serve as excellent learning material (in addition to other sources such as books, movies, music, etc.) Let me know how you find using TED for learning your languages! Hi Sam, I had a good look around for some Russian talks for myself this morning, but actually found the subtitled versions quite tough – I just keep concentrating on the English that I hear and I want to hear the Russian. Tried it with Spanish too, but the cognitive effort of following the talk while trying to understand the subtitles is significant. That is a bit of a downer. I went to the Kharkov site you recommended, but they don’t seem to put any videos on! 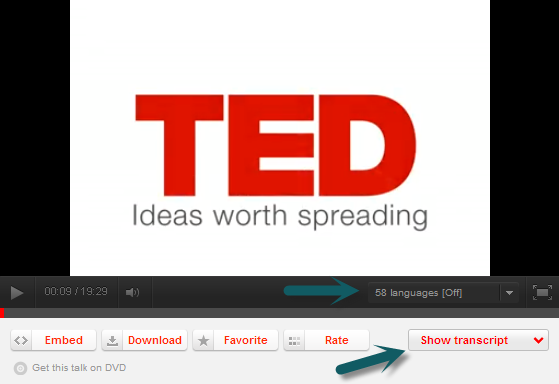 It’s a real shame that TED’s own website doesn’t feature talks given in other languages and subtitled into English. On a positive note though, I noticed that the iPad app also lets you search by language and gives many many subtitled talks. It’s a bit hidden under “All Talks”. As I recommended in the post and in the video, rather than just listen to the talk in English and read the subtitles in a foreign language, you can simply copy and paste the script in a Word document, print it out, and read it through (preferably after having listened to the talk in English and after being comfortable with what is being said. And once again, try to choose some easy talks, I’ve recommended a few). There are a few others if you look around the site. A quick Google search will, I’m sure, bring other TEDx talks in Russian in other major cities. Thanks for the tip about the iPad app, that’s great to know! When I have time I’ll add it to the article. Do you know if they have such an app for Android by any chance? 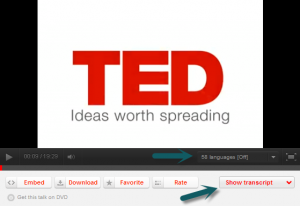 There are Ted talks originally done in other languages too. I have found ones in Spanish and Portuguese. To me, a Chinese, I also find TED Talks great learning materials. They may contain the common words, and they are plain in grammar. Most importantly, they are interesting and compelling! I never watch TED Talks feeling like sleeping. In contrast, I feel like sleeping when reading books sometimes. I learn English via TED Talks by watching the video several times without looking at the subtitles, and try to understand the main ideas. Then, I will choose the most appealing or the most liked ones by myself to replay. I repeat every sentences and try to reproduce without looking at the subtitles. I just begin doing that, and I think it is effective as I increase my vocabulary as well as learning great ideas.